Fri., Feb. 8, 2019, 6 a.m. The issue is urgent, Friedman said. When compared with other western states, Washington is the smallest geographically, with the least public land and the largest population. Despite Gov. Jay Inslee’s presidential ambitions being largely pegged to environmental issues like climate change, the governor’s proposed 2019-21 budget does not fund the $12.9 million WDFW requested to enhance fish and wildlife conservation and $4.2 million for habitat improvements. 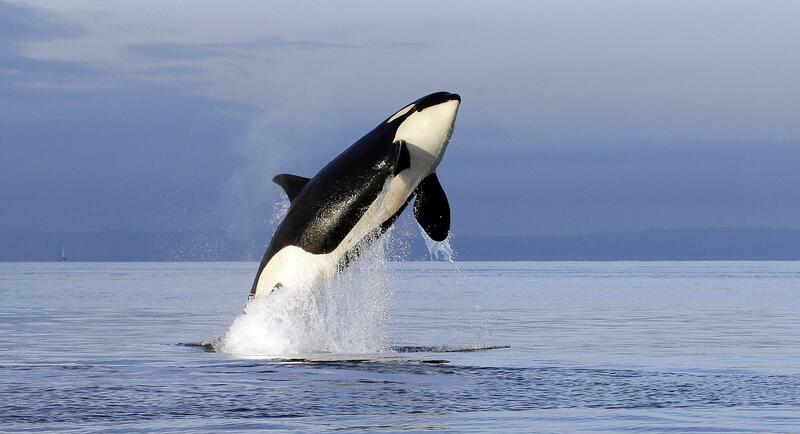 At the same time, Inslee has requested $1.1 billion in funding for orca recovery. Cloe said WDFW’s entire budget request was $60 million, much of which wouldn’t come from the state’s general fund. “He (Inslee) was so passionate about funding the orcas but didn’t say a dang thing about the rest of the animals in the state,” Cloe said. Friedman and Mike Petersen from the Spokane-based Lands Council spent Tuesday meeting with legislators, including Spokane’s Rep. Timm Ormsby, who is the chairman of the House Appropriations Committee, which is taking the lead on writing the 2019-21 operating budget. Friedman hoped more representatives could have been present in Olympia, but a combination of bad weather and illness kept many home. A letter, signed by 13 individuals from groups including the Lands Council and the Inland Northwest Wildlife Council, was delivered to lawmakers Tuesday. The BPAG has worked with WDFW since 2017 to address its budget shortfall. WDFW is facing a $30 million budget shortfall stemming from three things: Funding via general-fund taxes and recreational license sales has not kept pace with costs; a one-time funding fix approved by the Legislature in 2017 expires in June; and the department is still recovering from budget cuts from the Great Recession. The department submitted its proposed budget in October. Part of the funding fix would come from a 15-percent increase in hunter and angler fees, which groups like the Inland Northwest Wildlife Council supported. Inslee released his budget in December. His budget addresses the $30 million structural deficit and included substantial investments in orca and salmon recovery. “I was really impressed with the governor’s budget,” said Morgan Stinson, WDFW’s budget director. That was especially true considering the numerous agencies asking for state money, said Nate Pamplin, WDFW’s policy director. “The fact that there was good investment in the Department of Fish and Wildlife was a pleasant surprise,” Pamplin said. The governor’s budget is far from assured to pass unscathed through the Legislature. That was the impetus behind lobbying in Olympia, Friedman said. Some funding for WDFW’s budget request would have to come from the state’s general fund, which lawmakers told Petersen and Friedman could be a tough sell. One way to avoid that, Petersen said, would be to consider additional user fees outside of hunting and angling. While the governor’s budget addresses the underlying deficit and benefits of orcas and salmon, Friedman said it neglected key areas of WDFW’s mission: habitat improvements and wildlife conservation for other, less-visible species. Friedman believes that orcas, the flashy topic of the day, took all the attention of a governor with professed presidential ambitions. Cloe said it’s an issue WDFW has battled for years. The agency’s work is not visible and often passed over when tough budget decisions are made. That, he said, comes at a cost. Published: Feb. 8, 2019, 6 a.m.